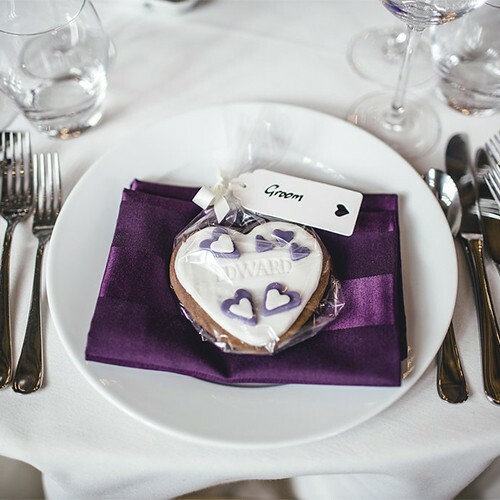 May saw Create kick off the Spring wedding celebrations with a quintessentially London wedding, which took place at the beautiful Old Finsbury Town Hall. 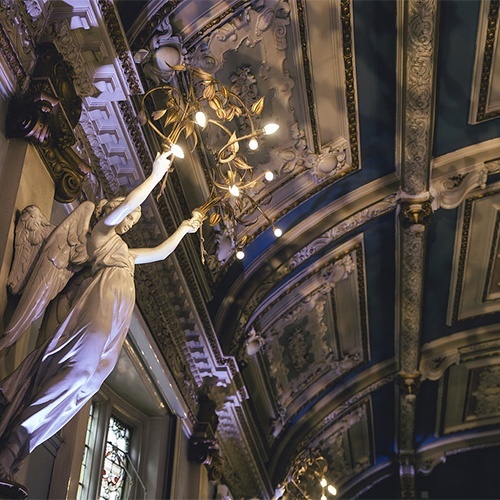 The Old Finsbury Town Hall exudes opulence and glamour with its art nouveau vintage décor. It is a vintage building that is real, ornate and unique. The building has true character; an art-deco entrance canopy, a sweeping staircase and beautiful stained glass. 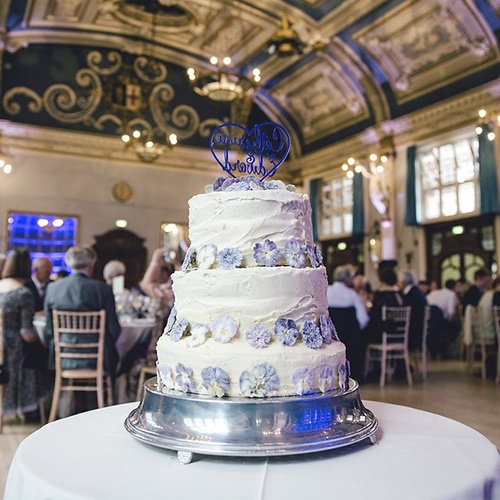 The wedding breakfast took place in the Grand Hall, which is adorned with chandeliers and watched over by the famous Clerkenwell angels. 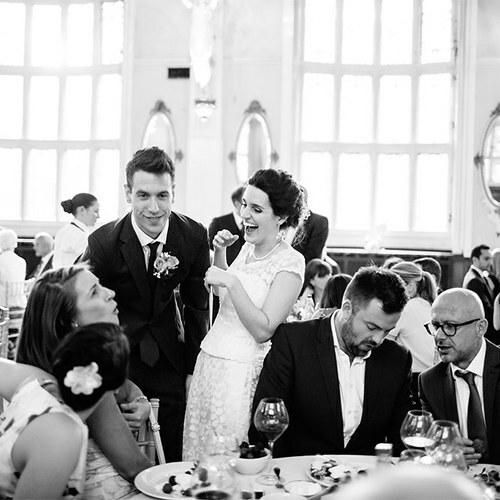 Guests were welcomed with a drinks reception, with prosecco and pink ginger and lychee soft cocktails, before guests were seated for a delicious three-course wedding breakfast. 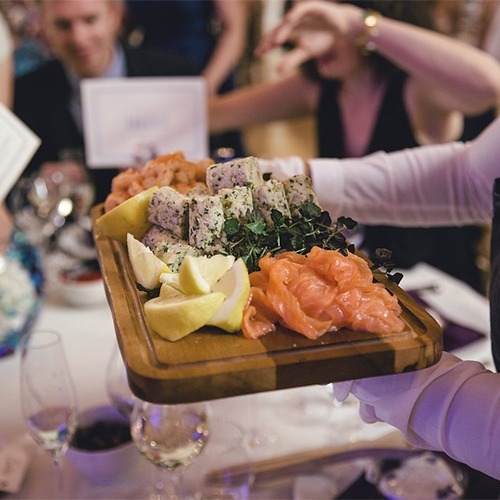 The meal began with a Smorgasbord, including a selection of marinated and cured seafood with continental meats, smoked salmon, macerated prawns with citrus, trout and horseradish rillettes with smoked chicken, bressola and chargrilled roast vegetables and mixed olives. Fresh focaccia, ciabatta and sourdoughs were circulated in bread hats. The main course was lamb two ways, a seared lamb rump and salt-baked lamb shoulder, served with goat’s curd and ratatouille tortellini, pousse leaves and a garlic cream, with a light jus. Vegetarians were served pot-roasted cauliflower, shaved cauliflower, ratatouille tortellini, chive oil, pousse leaves and a garlic cream, cauliflower puree and light pan jus. Younger guests enjoyed homemade pizza with chicken and pesto topping. 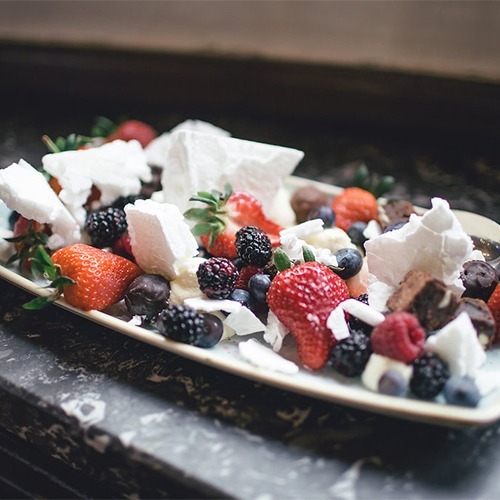 For dessert, guests built their own ‘ultimate’ pavlovas using crushed Italian meringues piled high, accompanied by chantilly cream and a selection of fresh berries, poached fruits, fresh sliced fruit and chocolate textures. 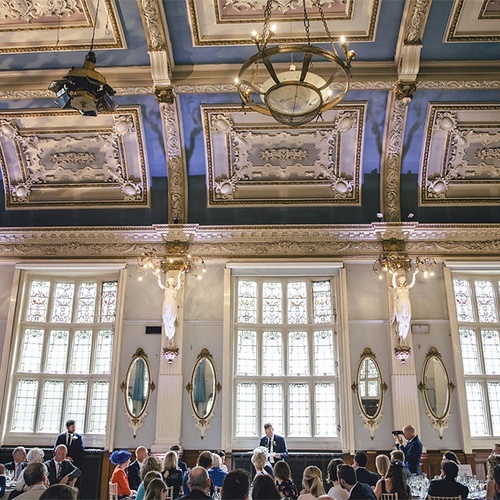 The party then got underway, with evening guests joining the happy couple at this prestigious London venue. During the evening, Create served arancini - mini tallegio and mushroom arancini balls served with an oregano pompadour sauce, paper cones of beer battered monkfish with oven roasted chips, pea puree and salt and vinegar powder, little cheese burgers served in baby burger boxes and handmade beef burgers with shallots, capers and parsley with cashel blue, tangled onions and pickles in soft white seeded rolls. 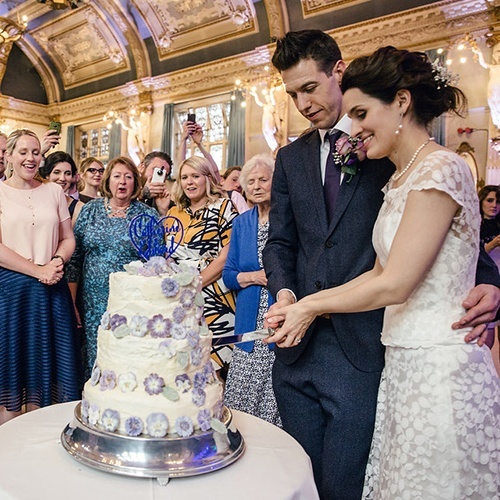 And of course – guests tucked into the luxurious wedding cake! 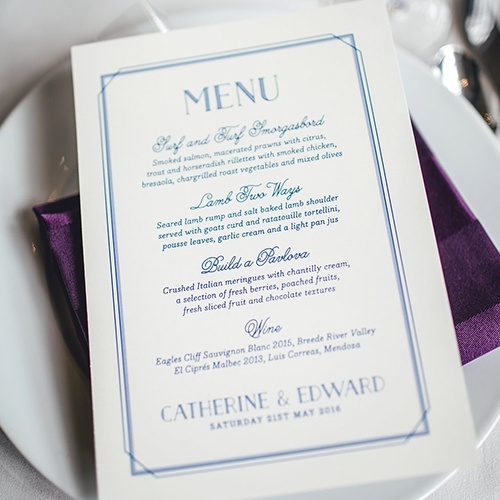 Find out more about Create’s weddings. Visit createfood.co.uk.